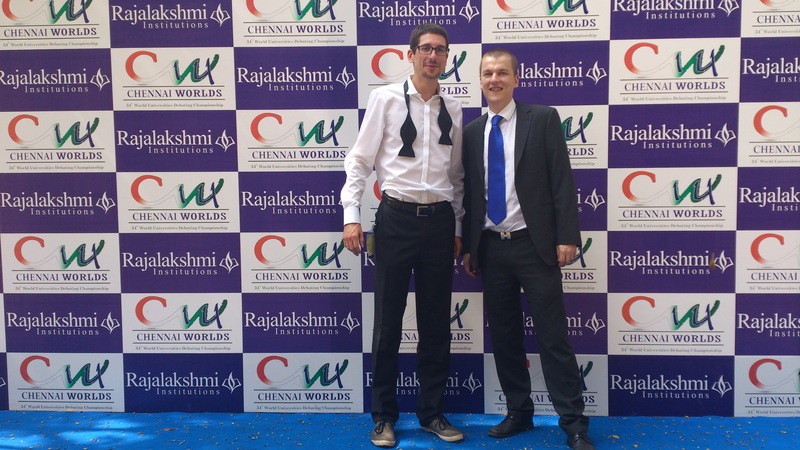 The 35th World Universities Debating Championship (WUDC) were held in Chennai, India this year. The best 340 teams from all over the world went head to head against each other in 9 preliminary rounds. Fabian Farkas and Leonard Münstermann made it all the way to the ESL semi-finals. This means the Tilbury House team is among the 8 best ESL teams in the world! Leonard was also honored as the 4th best EFL speaker in the world. Congratulations to Fabian & Leonard for the greatest Tilbury House success since 2008, when Assen Kochev and Kai Menzel were Vice-Champions.